eBay is an eCommerce platform that has provided people with almost everything they need. While this fact is a convenience for buyers, it’s considered competition for sellers. Since eBay has long been around, listing an item won’t guarantee that it’s the first one there. If you’re thinking of selling a new branded item, there’s a good chance someone is selling it on eBay too. This challenge that eBay’s market stability presents, encourages sellers to crack the website’s algorithm. Cracking the algorithm can mean many things. Among these things is having a seller’s listing appear in the top search results. To make this happen, a seller’s best shot would be applying SEO strategies. One of the key elements in SEO is using popular keywords. SEO keywords pave the way to better visibility. 3 or more keywords can also combine as phrases which are then referred to as “long-tails”. Buyers use more than 1 keyword most of the time. So it’s important to choose the right keywords to include in long-tails. Long-tails are usually included in listing titles to show up higher in search results. Having keyword phrases on your product descriptions are helpful as well. Traffic to both your listings and eBay store will spike when you’re using the right SEO keywords. This is due to the organic traffic that popular SEO keywords can bring. When your listing and eBay store traffic are high, your chances of making a sale increases, too. So place importance in the keywords you use with your listing titles and descriptions. As mentioned earlier, eBay SEO keywords are relevant to listing titles and descriptions. These keywords have to be patterned to how people conduct searches. Using the algorithm’s standards as a pattern is one of the biggest mistakes any seller can make. Remember that you’re providing SEO keywords for the buyers’ convenience, not for eBay’s. Increased search hits lead to increased traffic. And increased traffic leads to a higher conversion rate. This type of rate dictates how relevant your SEO keywords are to your customers’ search. So the higher your conversion rates are, the more efficient your SEO keywords. Your conversion rates also present your abilities as a seller. High performing sellers are rewarded with higher positions in search results. Conversion rates are computed by dividing the number of visitors to your sales. An example of this is having 10 sales for every 100 visits. This equates to a 10% conversion rate. Meaning 10% of your visitors found your SEO keywords relevant. And in turn, you make a sale from the interest you’ve managed to generate. Another feature you can utilize is your listing image’s title and alt tags. These tags allow the addition of SEO keywords. SEO keywords disguised as image title and alt tags are picked up by most search engines. Search engines use these tags to better provide search results for customers. If your tags are relevant, they can raise the chances of ranking higher in search results. Find the image’s HTML code. What you want to do is replace your alt tag. In the sample above, your alt tag is “KitchenAid Toaster”. Think of popular SEO keywords customers will enter on the eBay search bar. It’s positive that KitchenAid doesn’t just produce 1 model of toasters. Keep in mind that you’re likely not the first eBay seller to make a listing for KitchenAid toaster. So you want to be specific with your alt tags. Experienced customers will want to conduct specific searches as well. Replace your old alt text with something like “brand new KitchenAid 2-Slice Toaster 240 volts free shipping”. You want to make sure that your alt tag mirror the SEO keywords on your listing’s title. Conducttrials to find the best SEO keywords to earn your listing a higher ranking. Another key to utilizing SEO keywords is by making sure they relate to your eBay store. You may not sell 1 type or category of product, but there’s always a way to incorporate SEO. Linking your SEO keywords to your eBay store won’t promise a high success rate. But doing this helps create your own brand of tags which returning customers can refer to. Using SEO keywords has proven to be beneficial to every seller’s eBay business. You don’t even have to take classes to master it. You don’t also need to crack the working behind eBay’s Cassini algorithm to start generating your own SEO keywords. All you need to do is figure out which keywords typical customers use and use them well with your eBay listings. Configure SEO keywords from time to time depending on the latest keywording trends. Or if possible, you may even use online generators that produce SEO keywords. Continue optimizing and perfecting your SEO skills, and in time, you’ll raise your conversion rates even higher. 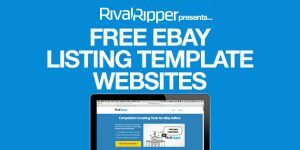 Did you find our list of eBay SEO tips useful? If you did, please feel free to share your insights in a comment below. For more eBay tips and tricks, please visit our blog today.